(Nanowerk News) Laboratories awarded certification according to the ISO/IEC 17025 standards, renowned throughout the world as indication of technical quality and competence for testing and calibration laboratories. As of 2010 the MiNALab (Micro Nano Analytical Laboratory) research unit of the Materials & Microsystems Centre of Fondazione Bruno Kessler, already a beacon in analysis for many universities, research organizations and companies, can boast possession also of this important certification. The official outcome of the inspection, notified this month by the National Body for accreditation of testing laboratories “ACCREDIA”, was positive for all technical and organizational requisites, for suitability of the instruments used and for personnel skills. 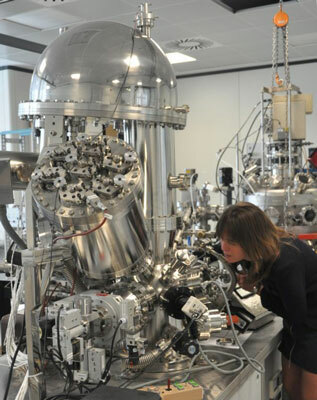 “Our laboratories”, explained the head of the MiNALab unit, Massimo Bersani, “are contacted by research centres as well as by companies working in the fields of micro-electronics and of linings for mechanical applications and, more in general, firms involved in the production or processing of innovative materials, such as the optics and biomaterials sectors. The requests are for analyses that require one millionth of a millimetre accuracy and one part per billion sensitivity. This new certification opens our labs to the opportunity of working also with clients requiring measurements certified by a third party body, thus increasing FBK’s prestige among production sectors”. “The procedures put in place to obtain the certification”, concluded Mr. Bersani, “also allow us to work more efficiently in terms of organization, to track the operations and to improve information exchange, all productive towards further increasing the quality of the analyses. Our laboratories are one of the first in Italy to obtain this certification in the field of research. These skills have also had direct beneficial repercussions on a local level with the creation of management software for the accredited laboratories by Trentino companies based on the experience gained within FBK”. Stemming from the lengthy work carried out by the internal quality manager, Erica Iacob, the certification was funded within the framework of the European project ANNA (European Integrated Activity of Excellence and Networking for Nano and Micro-Electronics Analysis), a scientific programme dedicated to the analysis of new materials for future electronics, coordinated since 2007 by Fondazione Bruno Kessler and financed by the EU with 5.6 million euros.